Today calendars and time management, in general, continue an ancient trend to manage time and do everything according to the schedule. According to the history, calendars broke through people’s lives 6000 years ago! And such calendars didn’t differ so from the calendars we use now. 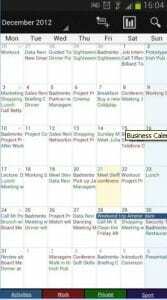 Why are calendars so important? Okay, first of all, you can exactly plan your life – from Monday to Sunday, from 6 a.m to 11 p.m, from January to December and from 2017 to 2020- you will exactly know what the day it will be. Moreover, it has a cool feature to remember you about all great dates, events, performances, birthdays and parties! We want to share with you 12 best helpers to manage your time and keep up with the times. Moreover, all apps you see below are absolutely free and perfect to use. 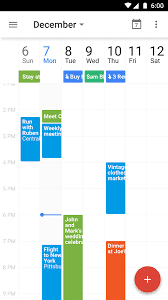 The aCalendar application (for free) has, perhaps, the widest functionality. Do you desire, for example, to append to the calendar an event that will be repeated every three weeks? aCalendar can arrange this. There are themes, and coding events in color (48 shades – for the most inveterate planners). There is even a small guide to use that will tell you about non-obvious ways of controlling (for example, swipe with two fingers will permit you to flick through 7 days, 4 weeks or 12 months at a time). Practically does not consume the battery. Phases of the moon in the monthly calendar. Birthdays with editing support and photos. Google can’t leave you without a possibility to take control over all, including your time. It is an official app from Google which works perfectly on Androids and has an attractive and friendly to use interface and design. As for characteristics, you may have different view modes: day, month or year view – it makes a sense for you to change them according to your time goals. 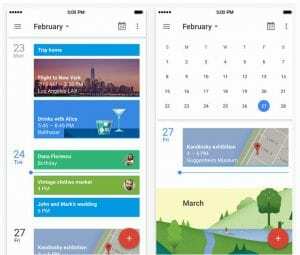 There is also an option of automatically adding the event or meeting from your Gmail to a calendar – in this way, you will never miss an occasion and late to essential occasions. It may be a booking a room in a hotel, buying tickets on a plane, ordering a table at a restaurant or anything else. 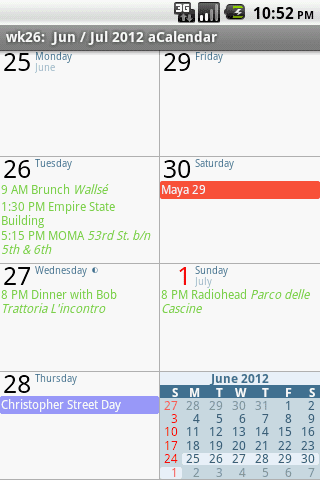 The Google Calendar makes everything feasible. Another cool peculiarity is a capability to set goals. For example, you desire to run three times a week, read a book every day or lost weight to the next month and the calendar app will find an appropriate time for it and, of course, will remind you about every task you need to do today or tomorrow. Thanks to the notification, you will make and watch to do list. It also has an Exchange support. There’s also the selection for customization the entry to replicate either daily, weekly, monthly or yearly. You are also able to choose individual days for it to repeat on. Design in the style of Material Design. Fast: creating, editing, and managing events. Simultaneous work with several calendars. The minuses were not noticed. 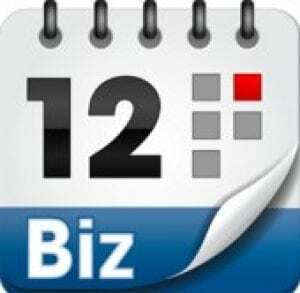 Business Calendar is a calendar that rightfully justifies its name: everything is very strict and without any design tricks. 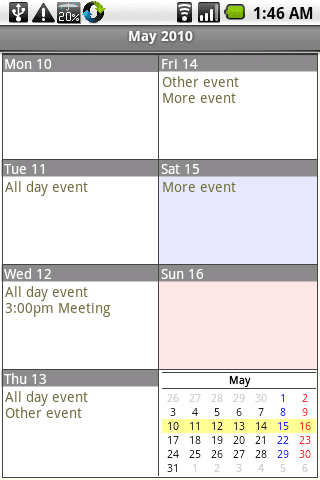 On the main screen, you will discover the calendar itself, you may append reminders, as well as interesting features. At the top of the program, you will find a special button that permits you to modify the displayed view (text or rectangular marks of various colors). If you select a day in which a reminder is specified, it will immediately appear in a small window that describes the selected date as much and informatively as possible. The absence of unnecessary functions. Advertising (in the free version). 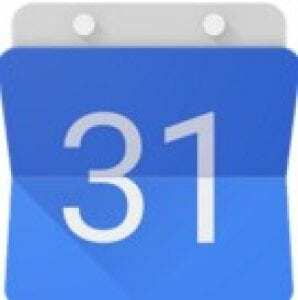 Jorte Calendar is one of the most prevalent alternative calendars in the Google Play Store. It has a wide scope of arrangement variants and several options for appearance. 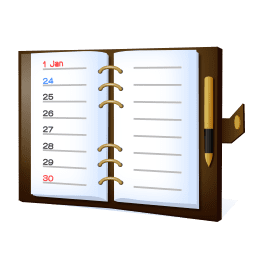 You may view the calendar in a month, week, and day view mode (by hours), which is convenient for quickly selecting the desired date, and task and reminders help save important events and occasions before your eyes. A special cloud service, Jorte Cloud, permits you to synchronize calendars, schedules, and task lists on multiple appliances, and the app also provides the prop for importing from Google Calendar. There is also a Jorte Store, where you may buy skins and icons to personalize the calendar. Numerous widgets and integration with Google Maps complete this wonderful set of functions. Numerous widgets and integration with Google Maps completes this wonderful set of functions. Convenient display of the calendar. Cloud synchronization and much more. Complexity and the general heap of the program. Calendar Pad differs slightly Spartan design and functions but it displays the calendar quite well in the form of a month, a week, a day by the hour and a schedule. 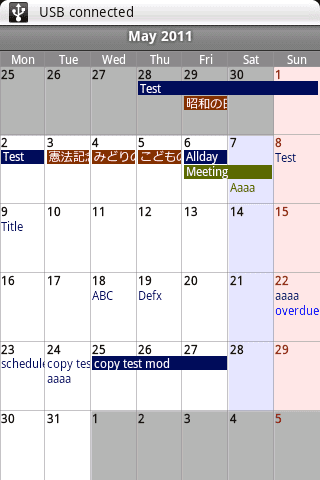 Events are synchronized according to the device calendar. You are able to employ diverse themes for registration, which also have fonts of different style, color, and size. To create an event is very easy, the application is also convenient for organizing regular events. 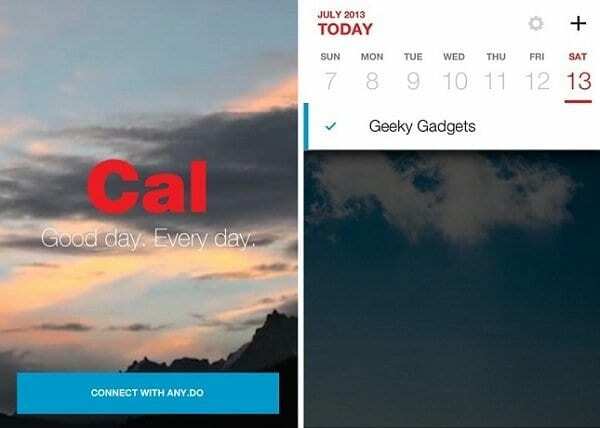 Widgets for the home screen will aid you get quick access to the calendar. 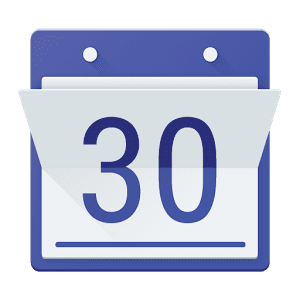 Cal: Any.do calendar is probably one of the best calendars for Android devices, which combines its own style, mixed with Material Design. The app turned out to be much more beautiful than the others presented in this review but moreover, it is very smooth. All dates in the app are presented as discrete pages that fill the entire screen. On the page, you can create reminders, and if you already had reminders but their time is over, then visually you can see the difference between those that will soon come. The background animation looks beautifully, which fill beautiful photos, view, which can be in full size just by clicking on the empty space. The app is distributed free of charge, has no advertising, and no additional purchases. In general, this is the calendar that you have to try. Easiness and convenience of use. Quickly create and edit events. Beautiful widget and much more. Touch Calendar does not follow the tradition to display the calendar in the form of a month, a week, and a day by the hour – instead, it displays individual days with large items that are replaced by scrolling. Scrolling down and up permits you to move forward and backward in time, and double-tapping or pinching scale the displayed calendar. To establish an occasion, you must press and hold a cell, and for regular events, there is a number of parameters. Touch Calendar does not have some nice “plugins” associated with text analysis, which are typical for new-fangled calendar applications but it’s still a great replacement for the regular calendar. 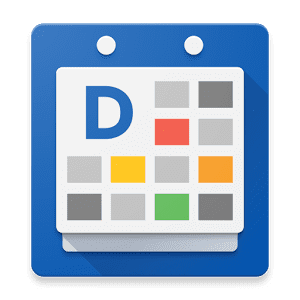 UpTo – Calendar and Widget – is probably one of the most stylish calendar applications that can be found on Google Play. But apart from the interesting designing in the program, there are several interesting characteristics. For example, displaying a calendar in the form of a list that we can scroll upwards, thereby viewing the days and possible reminders. 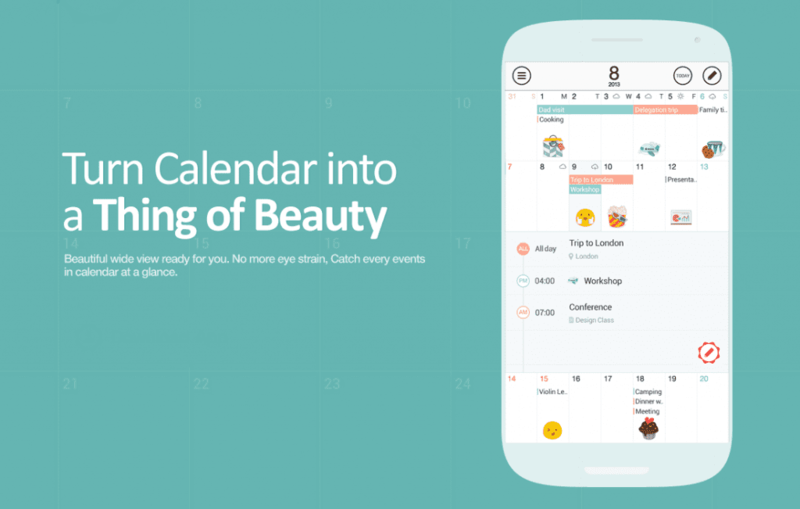 If you like stylish applications, then this calendar will become a godsend for you. As a plus, there is a built-in widget. 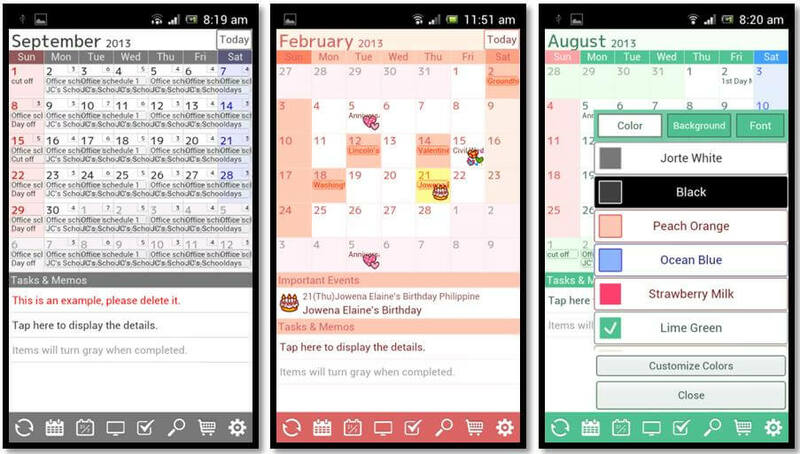 SolCalendar is among the gorgeous Android-applications with impeccable design. The application will aid not only to organize your schedule of affairs but also will give it an unusually nice appearance. Thanks to advanced synchronization capabilities, the application will permit you to merge events from most calendars established on your device and popular online services for scheduling events. 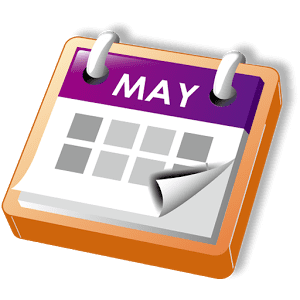 Synchronization with Google Calendar is automatic, to connect to other calendars with CalDAV support, you just require to append the necessary accounts to the application. For the convenience and variety of presentation of essential info to the services of users, more than 40 different colorful and informative home screen widgets are accessible. Integration of the calendar with weather reports and forecasts will aid to rationally plan the daily routine and activities for the upcoming week. Special colorful informative stickers will permit you to highlight special events and improve the visual informative value of your calendar. Calendar with the colorful professional design. Synchronization of events with other applications and online services. More than 40 widgets of the main screen. Current weather information per day and weekly forecast. 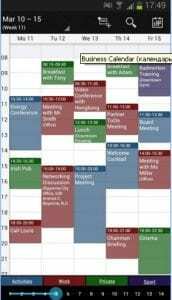 A great scheduler for busy people. 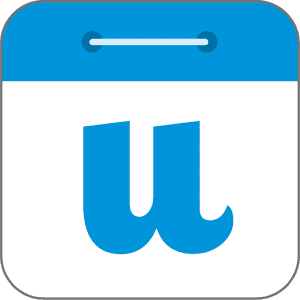 Has a very stylish interface with fine-tuning, a lot of desktop widgets, built-in weather forecast, and the opportunity to subscribe to paid calendars. 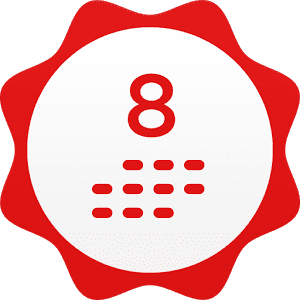 In the paid version, there is no advertising, it is possible to pick a calendar that will be displayed on the widget, additional color themes, the possibility to alter the font and reminder parameters. Search on the map during the creation of the event. A lot of colors to indicate cases. Schedule in several time zones. A program that will permit you to hold your reminders on your device’s desktop. 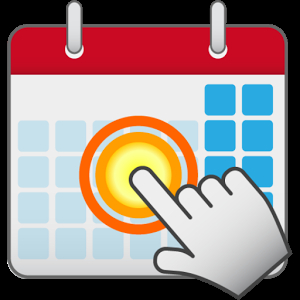 Create entries in the calendar for upcoming occasions, and this application will display them on the screen of your device. You can adjust the appearance of notifications, the level of their transparency, and much more. In fact, this is a simple widget application that uses a minimum of system resources. Its main task is to display the current month and the list of cases for the day. Editing records in the system application. Allocation of weekends and holidays. View previous and next months. 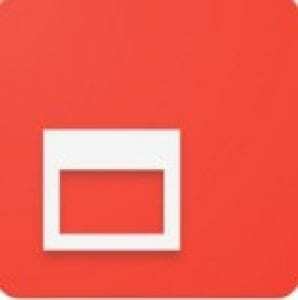 Today Calendar is another alternative calendar for Android from the developer Jack Underwood. 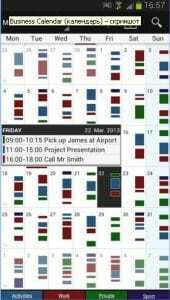 This software is a functional calendar with notification prop so that users can schedule an important event and be sure of timely notification. The calendar is synchronized with your Google Account and has several display settings. Owners of devices with Android 4.2 Jelly Bean and above, can install Today Calendar on the lock screen, which is not only very convenient but also very stylish. 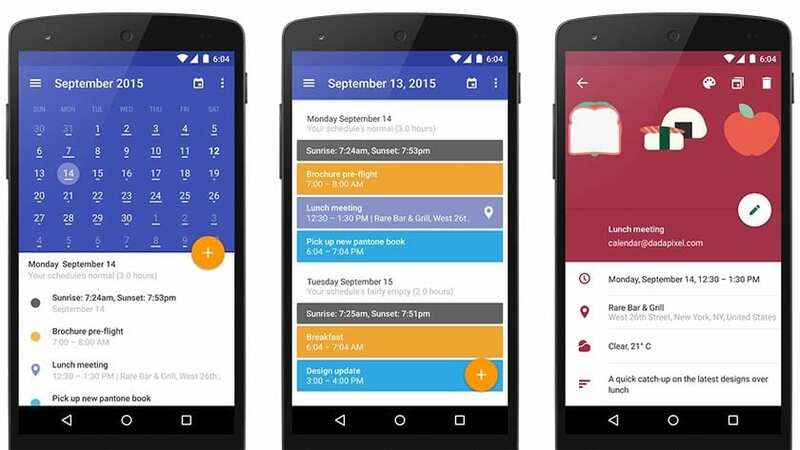 The design of the calendar is sustained in the style of Material Design. This solution fits perfectly into the updated Android interface. 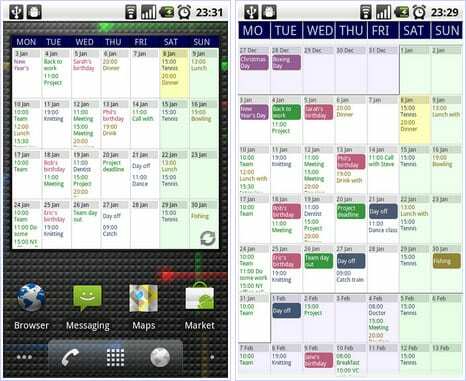 The main menu of the application is divided into several informative sections, displaying the days of the week and the agenda. Here you can designate an event and ask for a notification about the upcoming event. Today Calendar is a real find for business people. 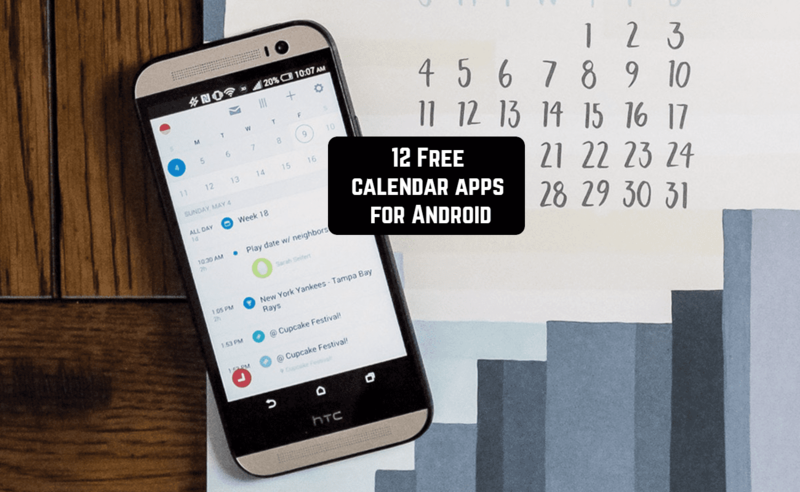 The application has everything to enter the list of the best calendars for Android. The app is distributed both in free and in paid form. You can upload a free edition with core features or acquire the full version. Availability of notifications and agenda and much more functions. All the applications presented in today’s review have a place to be on your smartphone and actively used. Yes, some calendars have got interesting features, other stylish design but they all perfectly cope with their functions. 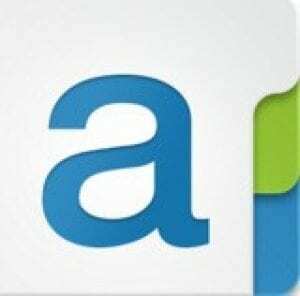 By the way, check other posts by FreeAppsForMe. Haven’t you heard about 10 Best Employee Scheduling Apps for iOS & Android it is a perfect app for managing your employees and their time at work. Moreover, it helps all team to keep in touch. Another cool collection is 15 best voice to text apps for iPhone & Android. Sometimes this feature is really helpful. No, it always helps people to write messages or make notes via voice.